Ancient Vedas and Puranas have praised trees and have given them utmost importance. In the above shloka trees and forest have been correlated with Brahma or God. In Almost all the ancient Hindu scriptures “Trees” have been praised, Times immemorial from Ramayana and Mahabharata to modern times, many rituals are related to trees. Trees give shade to others, while standing in the heat themselves. They bear fruits for the benefit of others, trees are like the virtuous Men. Surapala in one of his great work “Vrksayurveda” has described that “Person only deserves the status of Prthvipati, who provides facilities of a best garden” and also he who does not possess the wealth of garden (upavana) for natural amusement will be proven useless and insignificant. Plants play undoubtedly the most vital role in the chain of life. Understanding the way plants grow, reproduce, and prosper is a dynamic area of science. 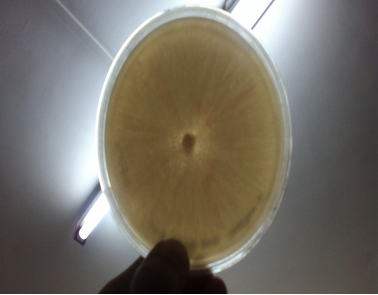 Plant and Microbial Technology (PMT) group mainly focuses on carrying out research in the area of Plant Biotechnology, Microbial Technology, Natural Products, Drug Discovery and Agricultural Microbiology. PMT aims in facilitating development of products that will benefit the society to a remarkable extent. 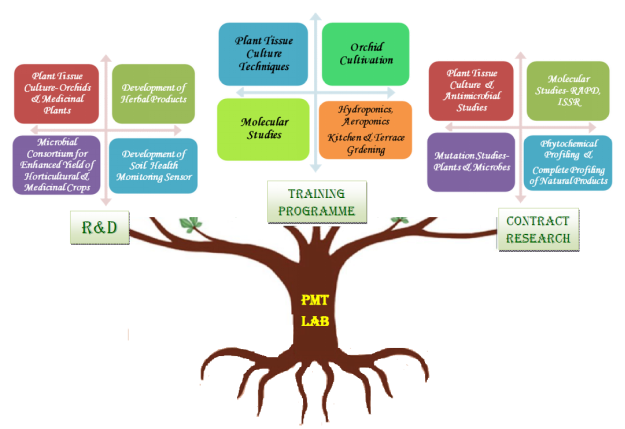 The Lab also offers various training programme in the emerging areas of Life science such as plant tissue culture, orchid cultivation, molecular technique etc. Modern technology has brought in a sea of change in the way scientists approach plants and their study. Advancements in biotechnology have influenced the study and development of new plant varieties and their propagation in a big way. 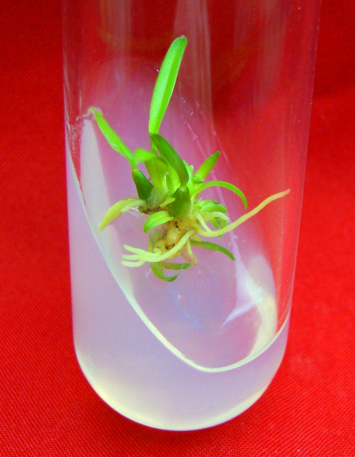 Plant tissue culture and allied fields form a vital cog in this. The Plant Biotechnology facility is a state of the art facility with provision for maintenance of up to 3000 plant cultures at any point of time. The lab also has advanced instrumentation facility to extract, analyze and validate various therapeutic plant secondary metabolites. The focus of research in this domain is identification of therapeutic properties in various ethno-botanically important plants, with special emphasis on wild orchids of the Western Ghats. 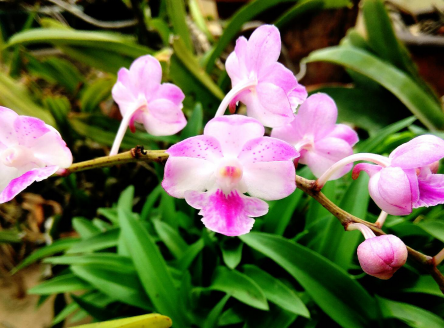 The lab is actively involved in the study of various endangered orchids with respect to their method of propagation, their medicinal properties and emphases on developing innovative and useful products benefitting the common man. The focus in this lab is on plant based/ natural products. Currently, the lab is in the process of developing various herbal based health care and wound care products such as wound healing cream, “A Magic Solution” for treating burns and an oil effective in treating cracked heels. The lab is also involved in developing herbal based utility products for households like vegetable and meat disinfectant, herbal floor cleaner etc. Agriculture plays an imperative role and is considered as backbone of India’s economy. Over 58% of the rural households depend on agriculture for their livelihood. A large proportion of India’s export trade is based on the agricultural products. Agriculture also provides employment opportunities to very large percentage of population in addition to food and raw material. Increasing population leads to a greater demand of production; hence, the increase in agricultural productivity is the main target to meet the human needs. The modern agricultural practices are heavily dependent on the use of chemical pesticides, inorganic fertilizers, and growth regulators which have not only raised the agriculture production but have also resulted in depletion of natural resource, environmental deterioration, and loss of crop diversity. Modern agriculture is not sustainable in the long run; hence, the concept of sustainable agriculture has emerged in recent years which emphasize more on the conservation of natural resources and environment. A need for sustainable agriculture can be achieved by engineering the rhizospheric micro flora. Bioinoculants are the formulation of advantageous microorganisms that when added to the soil directly or indirectly improves the nutrient availability to the host plants and promotes plant growth. The group focuses on developing consortium of beneficial micro organisms to enhance the growth and yield of various horticulture as well as medicinal plants. In this direction, the lab has already made strides on developing a few related products such as bio-fortified liquid manure for improved growth of various crops with special emphasis on cash crops such as coffee, pepper etc. The lab also concentrates on production of various medicinally important secondary metabolites from beneficial microorganisms. Additionally significant amount of research is focused on extracting industrially important enzymes from Microbial origin. 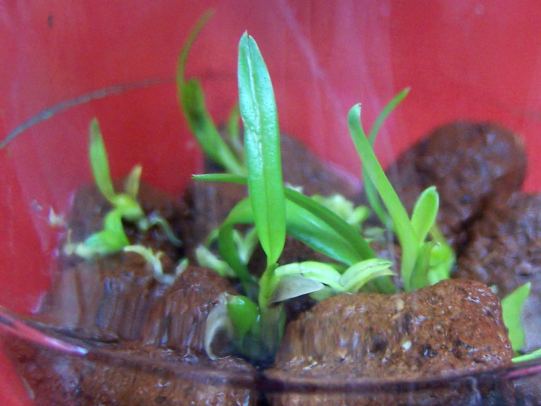 Brick pieces soaked in liquid culture medium is an excellent alternative to agar medium for the germination and development of orchids due to its economical, novel and reproducible characteristics. 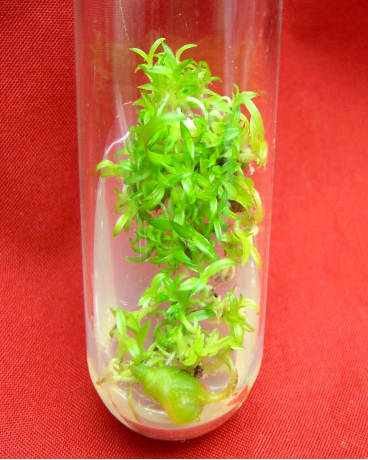 This protocol is promising and viable technique for large-scale multiplication of orchids. This work has been highlighted by an international newsletter ‘Agricell’ in one of their annual publications. Extensive research on the development of a crop specific carrier based formulation of beneficial microorganisms (consortium) for the enhanced growth and yield of various crops such as horticultural, medicinal and coffee has been conducted and reported by PMT Lab. Various bio-formulations (crop specific) developed in the PMT Lab are being tested for its efficacy on the specific crops under controlled conditions in a greenhouse. 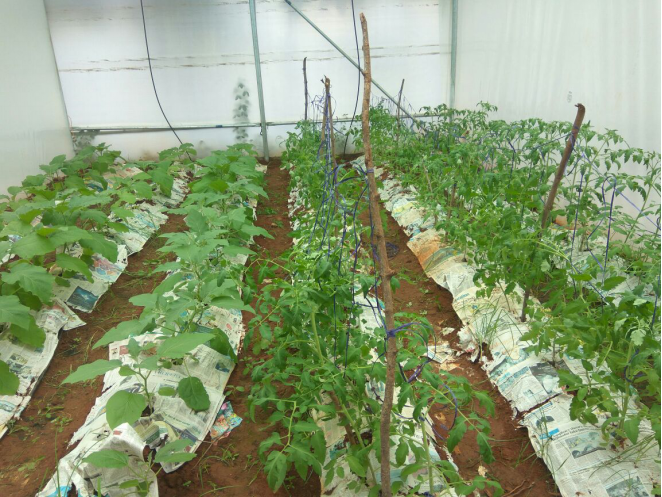 Greenhouse studies on the effect of crop specific carrier based formulation of beneficial microorganisms (consortium) on Solanum melongena L. (Brinjal) and Solanum lycopersicum L. (Tomato) has been conducted. Significant enhancement in the growth and yield of both Brinjal and tomato was achieved upon the application of bio-inoculants. PMT Lab is also actively involved in developing an IoT based sensor for diagnosing soil health which will be helpful for the farmers. An EthnobotanicalComparitive Analysis of the Pharmacological Aspects of Annona reticulata, Annona squamosa and Annona muricata”, with Mathematical Modeling. 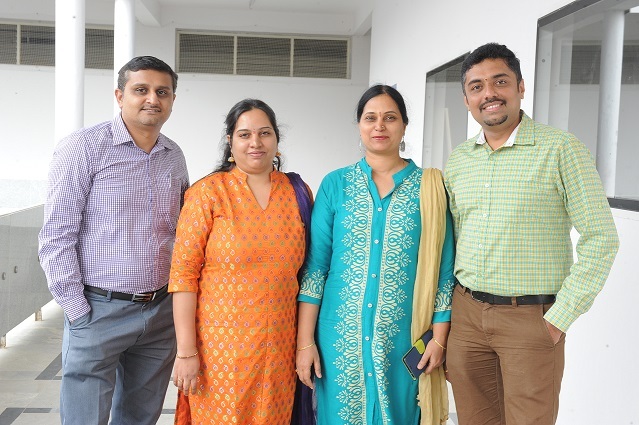 Sandeep Suryan, Nagananda G. S, Hamsapriye, Padmashree Anand and Swetha Seshagiri. Research Journal of Pharmaceutical, Biological and Chemical Sciences (2017) (Accepted- In Press). Influence of Piriformospora indica on the Growth and Yield of Solanum melongena under Greenhouse Conditions. Swetha S and Padmavathi T. Plant Cell Biotechnology and Molecular Biology (2017)18(7&8):348-355. Application of Bioinoculants for Sustainable Agriculture. Padmavathi Tallapragada and Swetha S. Probiotics in Agroecosystem (2017) (Book Chapter- Springer). (E)-1-((Aryloxyquinolin-3-yl)Methylene) Thiosemicarbazides: Synthesis and comparative study of their in vitro and in silico activities. Praveena N, Nagendrappa G, Tiwari A. K, Chaithanya M. S, Nagananda G. S, Shruthi S. D, Suresha Kumara T. H. Asian Journal of Research in Chemistry and Pharmaceutical Sciences (2017) 5(1):1-26. 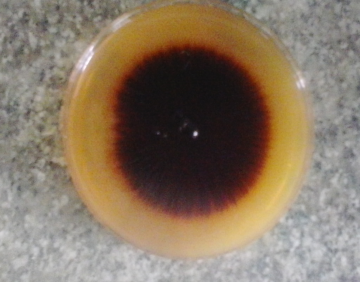 Piriformospora indica, a Potential Biocontrol agent for Solanum melongena L. under Greenhouse conditions. Swetha S and Padmavathi T. Journal of King Saud University of Sciences (2017). (Revision). UV-Visible Spectrophotometer, Binocular Microscope, Rotary Evaporator, Centrifuge, Laminar Air Flow Chamber, Orbital Shaker Incubator, Plant Tissue Culture Facility, Greenhouse. Wound Healing Cream: Wound Healing Cream developed by PMT Lab is an exceptional cream which is purely a herbal based product. Initial trials undertaken in house has shown encouraging results when applied on various kinds of wounds compared to many other commercially available ointments. Basically, the cream encompasses various herbal extracts mentioned in folklore. Burn Oil: Burn Oil is an edible oil based lotion which includes various plant extracts identified in folklore medicine as having high skin regeneration properties. Burn Oil is proven to be very effective in treating various first and second degree burns. Currently, further research on improvisation of the same is being carried out with the focus of developing a market comparable product. 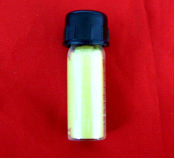 Turmeric Concentrate: Concentrated turmeric extract which is completely miscible in water. A drop of this when consumed with water helps in engineering the immune system of the individual (Immunomodulator). It also acts as an antiseptic as well as antiviral compound. Currently organoleptic studies are underway. Veggie Wash: A solution prepared out of various edible products and herbs for effectual removal of dirt, pesticides, insecticides and microbes from the surface of fresh Vegetables, Fruits and Meat. It is eco-friendly and safe to use on a daily basis. Nagananda obtained his Masters degree in Botany from BU in the year 2005 with specialization in Plant Cell, Tissue and Organ Culture and Cytogenetics, Master of Philosophy from Bharathidasan University in 2008 on developing a herbicide resistant variety in Vigna radiata through somaclonal variations, Doctor of Philosophy in Botany from Karpagam University with the thesis entitled “In vitro propagation and conservation of Flickingeria nodosa a vulnerable Orchid plant of high medicinal value” and also awarded the Askel Love prize for the best original research paper. Under the guidance of Prof. Ananda Rao, Orchidologist and former president “The orchid society of Karnataka” Nagananda was instrumental in establishing an open air orchidarium in Lalbhag , where he has collected numerous orchids from the Western Ghats and developed a strong database on the medicinal aspect of orchids. His work on Orchids was highlighted in Agricell Report, USA in the cover page as “Brick Pieces – A novel plant tissue culture supporting material.” His other areas of interest are in traditional medicine, Hindustani and Carnatic music. He has numerous publications and products developed to his credit and is working as an Assistant Professor. 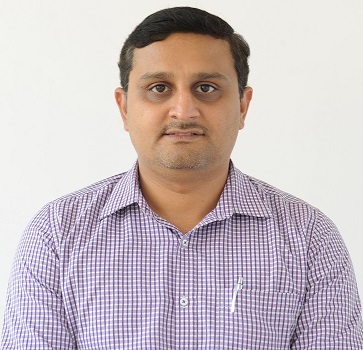 Sandeep Suryan is a Postgraduate in Industrial Biotechnology from Bharathiar University, Tamil Nadu and works as an Assistant Professor at the centre. After his post-graduation, he sharpened his skills in Bioprocess Engineering from the Indian Institute of Technology, New Delhi. He worked at Genohelix Biolabs where he was actively involved in research, training, administration, management of lab resources and marketing of courses and services. He then moved to the Centre for Emerging Technologies, JU where he pursued research on Plant secondary metabolites and explored their therapeutic Potential. Sandeep’s core research interests are Recombinant DNA technology and fermentation Biotechnology. He has also been actively involved in multidisciplinary research. He has several publications in international journals to his credit and has received accolades for outstanding contribution to research activities at Jain University. Besides his professional interests, Sandeep is also passionate about travelling, photography, and automobiles. Sandeep is also the co-investigator of a project funded by DRDO on bio sensors. 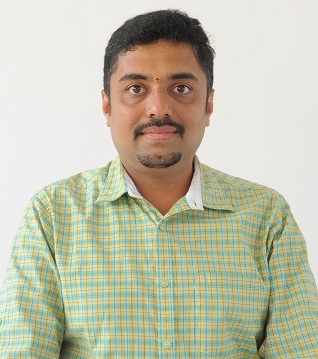 Padmashree Anand an alumnus of Mangalore University holds a Ph.D in Material Science and specialized in materials science in ancient India with reference to Bharadwaja’s Vymanika Sastra on Vataharanaloha and Panchaloha. She also has a Master’s in Sanskrit from KSOU having topped the University. She has been in the academic and research field over the last fourteen years. 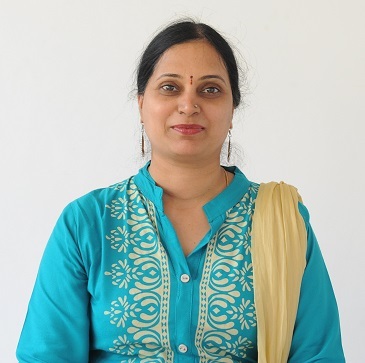 Her current research interests include studies on Ancient Food Science and Technology with particular reference to Pilot Food as in Bharadwaja’s Vymanika Sastra, Encryption techniques as used in ancient India and in plant biotechnology. She actively involved herself in R&D activities at RVCE in DST funded project on solar cells and played a key role in the successful completion of the BPR&D project. She has presented papers in national and international conferences and has a few publications to her credit. Padmashree Anand has also undergone comprehensive training on Leadership and Career Development for Women Scientists / Technologists organized by DST and Indo-US Science & Technology Forum, IISER, Pune and COACH International, USA. She is also a certified coffee brewer and has interest in music and is working as an Assistant Professor. 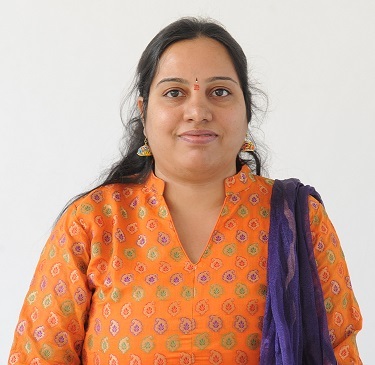 Sadhana is a Postgraduate in Biotechnology from Bangalore University. She has experience on enzymology. She has also worked as a BCIL Trainee in Azymes Biosciences Pvt Ltd. Her research interests include plant biotechnology, enzymology and molecular biology. 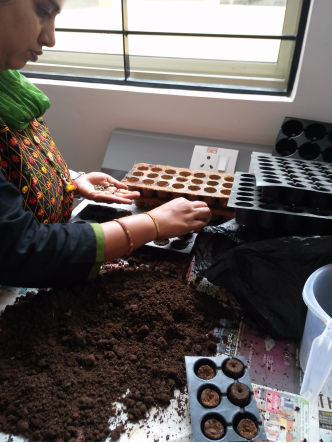 Presently, she is working as a Research Fellow in DST funded project titled “Development of an Efficient Microbial Consortium for the Enhancement of Plant Growth and Essential Oil Yield in Eryngium foetidum L. under Abiotic stresses- A New Approach towards Organic Farming”.